The layover for our summer adventure was in Schroon Lake, New York where Michelle and I spent a little over 3 weeks with my mom and younger brother. We enjoyed ourselves thoroughly in fine east coast fashion seeing friends and family while taking advantage of all that summer has to offer in the Adirondack mountains. Even though temporarily distracted from fly fishing, my thoughts often found their way to plans of buying equipment and triumphant trips to thousands of rivers and lakes. 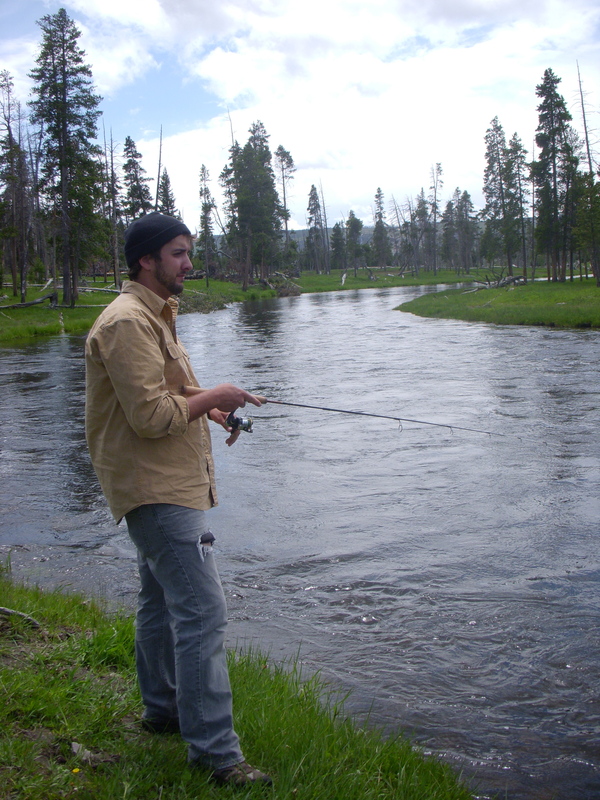 By a stroke of luck, I was recounting my adventures of our trip through the west with my uncle and I explained how exciting it had been fishing in the mountains of Wyoming and of my schemes to invest in fly fishing equipment. He informed me that my grandfather had a complete setup that he did not use and it was currently collecting dust in my uncle’s garage. Before the week was out, I found in my possession a beautiful 5 weight Fenwick rod, a couple of antique reels, a vest, and an assortment of flies. 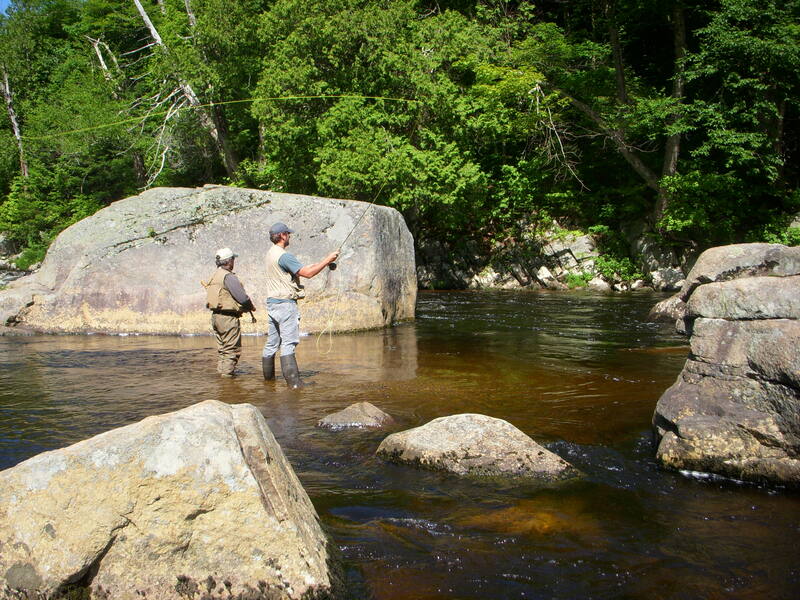 I could not have been more thrilled and looked forward to putting my inheritance to work on the Ausable river in the Adirondack mountains. 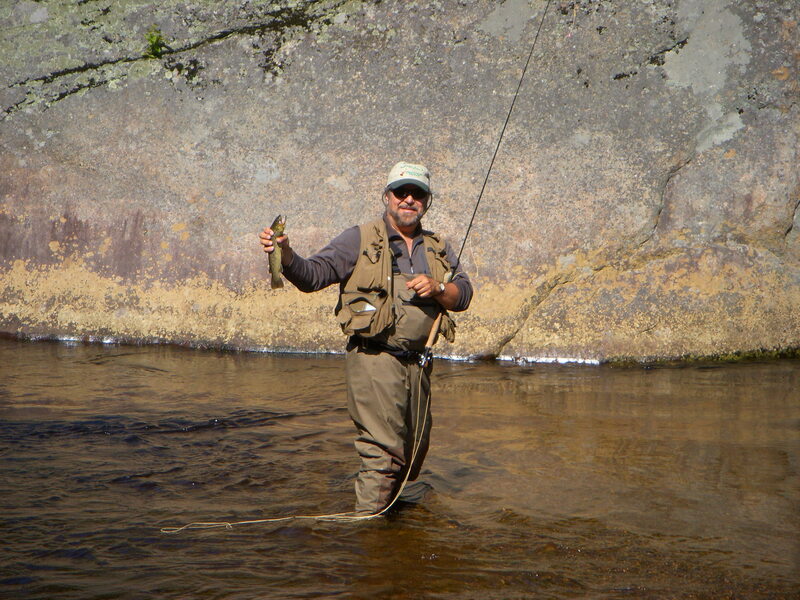 I turned to my good friend and former employer, Tony Tenda, who has spent much of his life scouring over the landscape of the Adirondacks and chasing fish and all assortments of four legged creatures.I twisted his arm and convinced him to spend the day explaining the delicate nature of fly fishing to me. At the end of the day, I found myself cold, wet, and fishless, but grinning ear to ear because of the beauty and tranquility of God’s creation. I had never had such a slow day of fishing be so rewarding. I learned much and thank Tony for taking the time to show me the ropes. I grew up in the Adirondack Mountains of New York state and was left to explore the great outdoors. While most of my time was spent turning over rocks to see what was underneath or fashioning bows and arrows out of simple stick and string, I also found another addiction that I am still battling today. 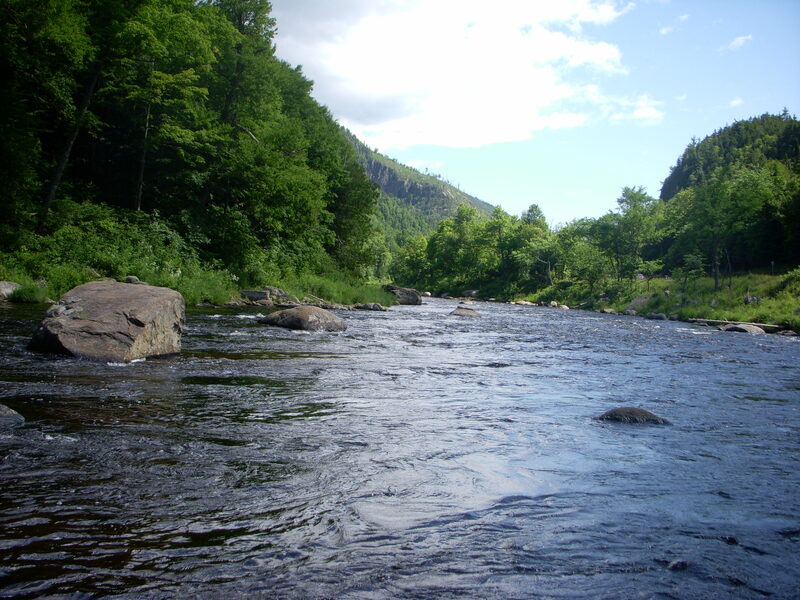 Whether it was fishing with friends from school on Schroon Lake or visiting my grandma’s cottage in Pennsylvania, if there was water, I was throwing a line into it. No fish was safe. Largemouth Bass, bluegills, walleyes, pike, and trout all sooner or later ended up in my hands. My passion has ebbed and flowed over the past years as I went to college, found a job, moved, and found another job. This past summer I found the perfect opportunity to reignite the flickering flame of fishing. My brother, his wife, my girlfriend (who was soon to be my fiance, but due to my sneakiness had no idea), and I decided to head back to New York on a road trip. Living in Texas, my brother and his wife met us at the Grand Canyon to commence our three week adventure back to New York. 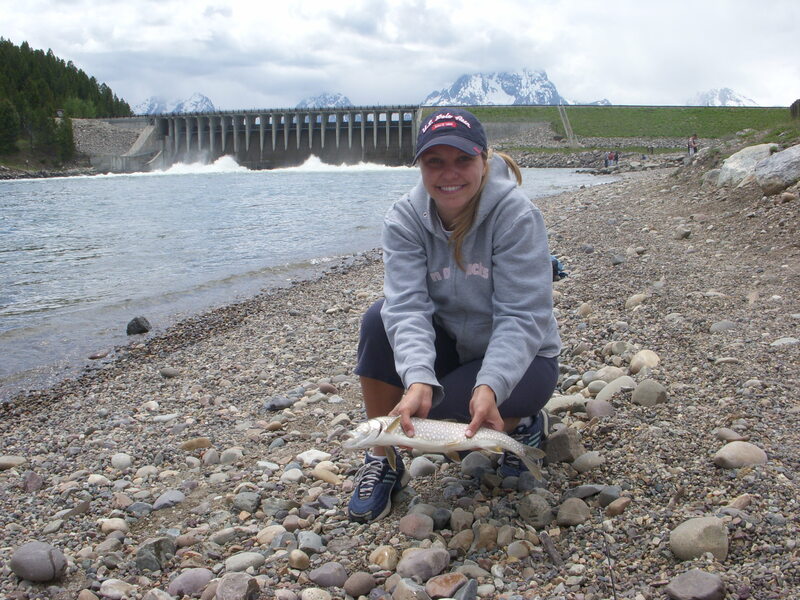 Before I left Arizona, I grabbed my lady’s and my spinning rods in hopes of getting a few days to spend fishing some streams in the Grand Tetons and Yellowstone. The rain on our trip did nothing to dampen our spirits and we enjoyed a meandering journey through Utah, rock climbing and seeing some of our friends and family. When we reached the Tetons, we were overwhelmed by the beauty of our surroundings. My soon-to-be-fiance and I wasted no time in buying a Wyoming license and heading down to Jackson Lake. Jackson lake did not produce for us and the next day found us at the base of Jackson dam. We were having the same luck until we discovered a discarded white rubber worm left by some other fisherman. Having run through every other piece of bait in my box, I tied it on and threw it in the water. 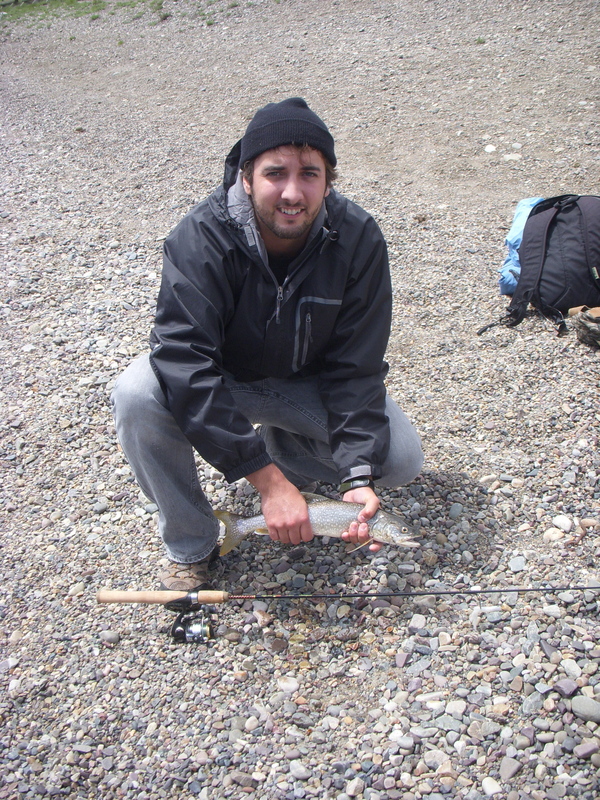 Off the first cast I was reeling in a nice fat lake trout. 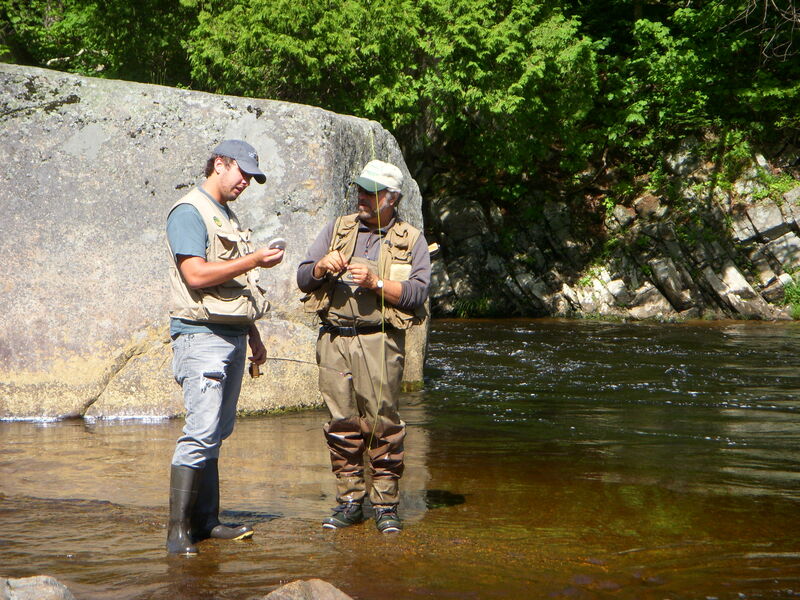 By the end of the next day we had caught over a dozen fish, most of which were over 20″.